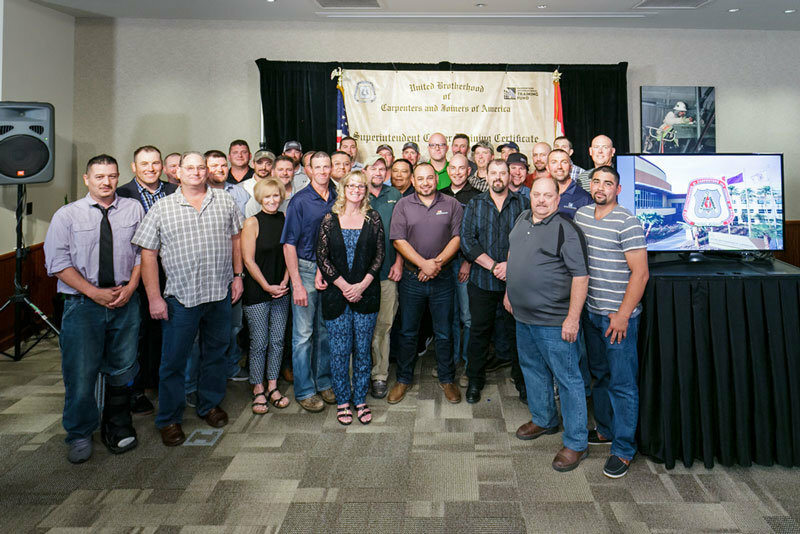 Congratulations to the October 2016 graduating class of the Carpenters International Training Fund’s Superintendent Career Training (SCT), which included the 1,000th graduate from the program. The Superintendent Career Training is an 18-month classroom and on-the-job instructional program that prepares participants to be highly skilled construction industry professionals. Through the use of mentors, company sponsored learning opportunities, and expert instruction from industry experienced professors of well-known universities, graduates of the SCT are equipped to oversee and manage productive work sites that keep projects on time and within budget. The concept of the SCT is based on integrating the demands and technical aspects of managing a construction job site with a superintendent’s personal career objectives. To achieve that goal, each participating company is able to customize the training according to the needs of the sponsored employee. For more information on this innovative leadership development program, click here.